SHANE KIEL is a guardian angel to weak creatures big (Dylan) and small (a pigeon named, Duck The Police). More importantly, he is also a trifecta of talent! He is an inventor, musician, and sign maker! After years and years of working for The Man, he has ventured out on open a sign shop of his own! 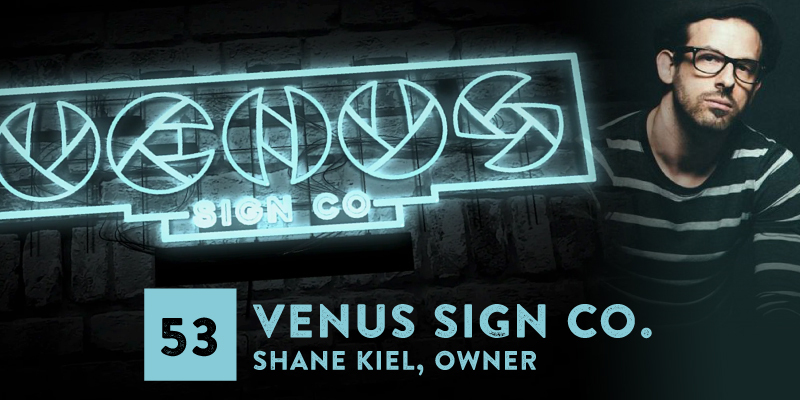 So join us as we go behind the scenes, hear about the newest sign technology and more! How Did You Get To Where You Got Today? What Situation(s) Are Most Creative For You? PODCAST 062: "Sound & Vision Vinyl"